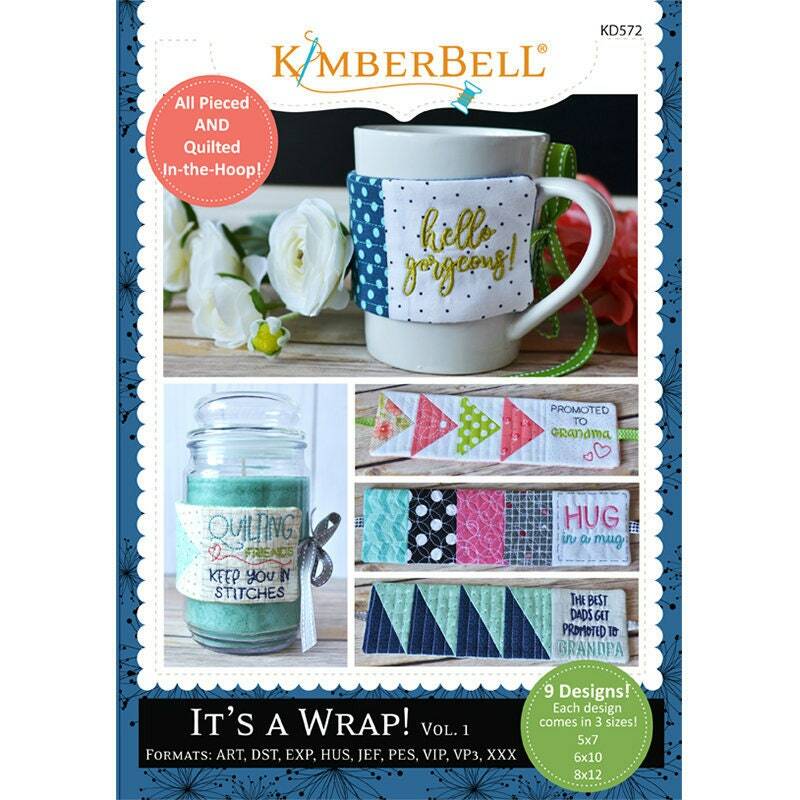 For a personalized gift that’s totally fun to stitch, It’s a Wrap: Volume 1 has nine designs, perfect for pairing with a hot cocoa, coffee cup or candle jar. Pieced and quilted in-the-hoop, the mug hugs feature modern repeating lines and motifs that look like custom quilting. 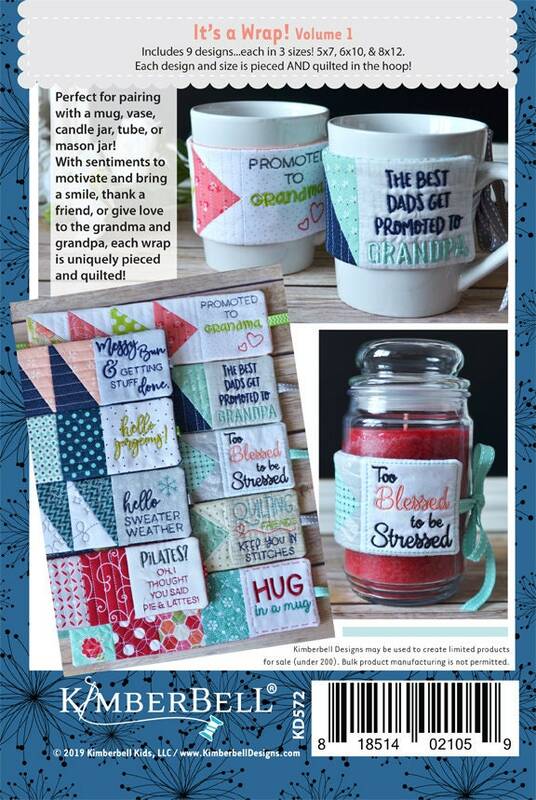 With sentiments to motivate and bring a smile, thank a friend, or give love to grandma and grandpa, each wrap is unique. This set of instructions shows the process for piecing the Flying Geese wraps.